Recently my son and I took some time to check out the Incredibles 2 prescreening. I have to admit that I have been waiting for this movie as long as he has! I have to say I was not disappointed at all! Whenever we screen a movie we like to ask if it is appropriate. Let me answer the question for you. Is Incredibles 2 appropriate for kids? 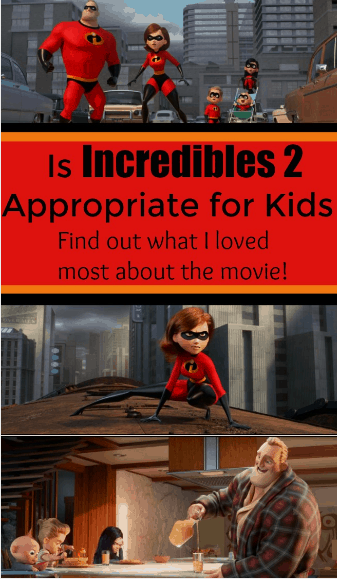 Is Incredibles 2 Appropriate for kids? Is Solo Appropriate for kids? Last night we left the kids with a sitter and went to see Solo together. We had to ask, “Is Solo appropriate for kids,” before taking our kids to see it. While we are huge fans of the Star Wars universe, all things Disney, and Han Solo, we had to be sure it was appropriate for the kids to enjoy with us. After seeing the movie, I am excited to share a spoiler-free review with you. I received a pair of HearMuffs to facilitate my review. This did not influence my opinion. All opinions in this post are 100% my own. Sometimes we need to shut down some of the noise that is keeping us from focusing. As a homeschool family, we always do life together and usually, we do life loud. This can be awesome but it can also be stressful if a child needs to focus on something they are working on. I have been looking for a way to help the kids focus without moving them to another room. I have discovered HearMuffs and I have to say that HearMuffs help homeschoolers focus.